He is truly a gifted athlete. He is a man of endless talent and energy. His exploits on the court are well documented. He can shoot the jumper…he can go to the hole…his burst of speed and powerful upper body make him a formidable foe. He is an NBA Champion and could be on the verge of a second accomplishment. So why do we hate “the King”? 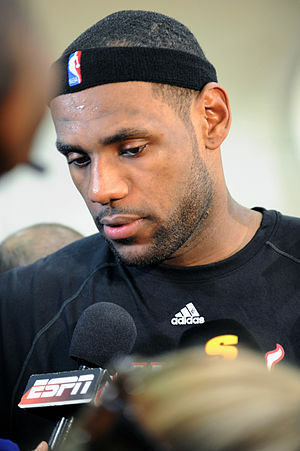 Why do we hate the great Lebron James, even bordering on despise? He’s the one that got away. He’s the one who was going to restore dignity and a winning tradition to “our” team, whichever team you root for. He was going to fill our cases with championship trophies and our minds with images of grand plays and rockin’ stadiums. Then he “decided” to star in a patently absurd TV event called “THE DECISION”. This “event” was the most pompous, over the top, annoying, self aggrandizing spectacle in the history of silly pop culture moments. Really? A TV show to announce where his highness was going to play NBA basketball? Wait…no cure for cancer? I think many of us were embarrassed for him. Then if you are a Knick fan, he made a decision that rankled us to the core. 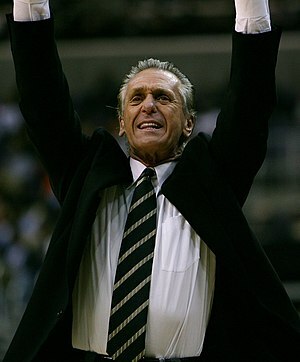 He chose to follow that weasel Pat Riley and go to Miami. Eeeesh. Miami? The Miami Heat did not need Lebron James. They had already been to the mountain with star Dwayne Wade. Wouldn’t it have beeen more fitting for “The King” to go somewhere new and resurrect an ailing franchise by the sheer power of his talent and persona? You know…like Michael did in Chicago. He wimped out by going somewhere where he didn’t have to shoulder the load all by his lonesome. He went to a team that had an established super star who did it by himself. He seemed to diminish his own standing by making this dubious choice. Miami? He could have owned New York! He would be displaying his abilities in the biggest media market in the world, in front of ravenous, long deprived Knick fans. The payday would have been astronomical. He couldn’t stand the heat, so he opted to play for them instead. 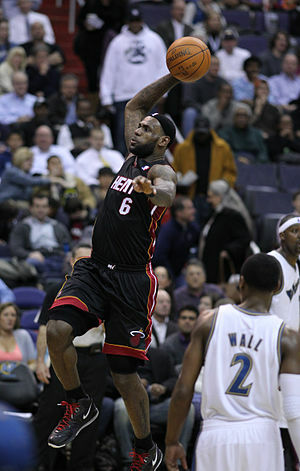 This entry was posted in Sports and tagged Chicago, Lebron James, Miami, Miami Heat, National Basketball Association, NBA, New York, Pat Riley. Bookmark the permalink. 13 Responses to Why Do We Hate Lebron so Much!??!? Okay, I get it! Don’t mind me, but I m out in left field here in Panama and don’t follow the US sports thing that much. I never was much of a Jock, anyway. I loved The Islanders, the BROOKLYN Dodgers and the Mets. but I have never followed basketball that much. But I have an opinion about this Lebron James thing. What an egotistical jerk! What makes sports stars think that their feces are not fetid! Give me a break! Well said. We usually cut slack to the ones who carry our colors and slam those that are against us. He’s the leader of the new NBA…..tattooed , ego driven thugs who have no respect for the past or the team concept of the game. Give me hockey any day ! My daughter has tats so not saying its that alone. It’s the way they carry themselves on and off the court, wives with reality shows , and yes the decision fiasco that has turned me off. Remember the 69 Knicks, that was a team, not just one guy making all the noise. I agree. Of course generations of fans tend to see things they grew up with in a different light. hahahaha…Hey Bill we’re all guilty of making our own generations stars, be they music, sports or otherwise, the biggest thing ever! LOL In some cases it may be true, but in many cases it’s what we see thru the looking glass. Handsome? So was John Wilkes Booth…another weasel and traitor! Riley signs a contract, comes to New York, starts a new chapter with the Patrick Ewing Knicks and then shortly thereafter walks out on his contract to join the enemy in Miami. Handsome? Who cares? He’s a J E R K.
End of the day, ya can’t argue with results…King James won the hardware. If Ray Allen doesn’t make that shot end of game 6, we’re talking about what an amazing run the Spurs have had! It only goes to show you that even the biggest, greatest of stars can’t do it without the help of all the role players around them. How about the play of Mike Miller? Awesome. When Wade couldn’t step up, all the other pieces did and helped take Lebron to a second consecutive title. Too bad he’s not a Knick!